Russia and China continue "their strategic line towards further boosting friendly and trustworthy ties in the defense sphere"
BEIJING, April 24. /TASS/. Moscow and Beijing are developing a strategic policy to strengthen cooperation on defense, Russian Defense Minister Sergei Shoigu said on Tuesday at the meeting with Vice Chairman of China’s Central Military Commission Xu Qiliang. 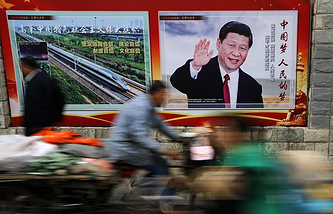 "The privileged character of intergovernmental ties is confirmed by regular meetings between Russian President Vladimir Putin and Chinese President Xi Jinping. The upcoming high-level meeting will be held in the first ten days of June within the framework of the Council of Heads of State of the Shanghai Cooperation Organization in Qingdao," Shoigu said. Russia and China continue "their strategic line towards further boosting friendly and trustworthy ties in the defense sphere," the defense minister noted. Russian-Chinese relations are "an important factor for maintaining global and regional security," Shoigu stressed. "In modern global politics, our countries hold similar positions," he emphasized. During his visit to Beijing in November 2016, Shoigu and Xu Qiliang held the 21th meeting of the Russian-Chinese intergovernmental commission on military and technical cooperation. "Since then, our bilateral contacts have significantly expanded and have been imbued with new areas of military and military-technical cooperation," he highlighted. 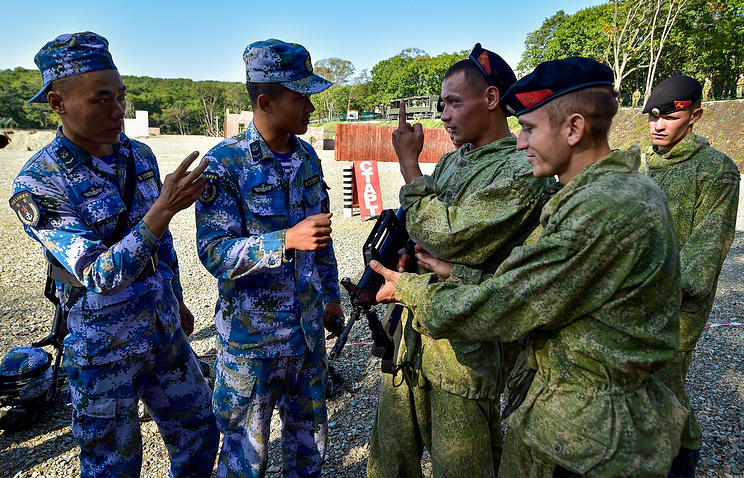 In his turn, Xu Qiliang said: "I believe that now the relations between the armies of China and Russia are undergoing the best period in their history, especially in the relations on military and technical cooperation." He recalled that in 2019-2020 Russia will hold presidency in the SCO, wishing Russia to successfully organize a meeting of the organization’s Defense Ministers’ Council. "We want you to play a greater and more important role in ensuring security and defense in the SCO framework," he noted.